Is a spring mattress or foam mattress better for me? Choosing the right mattress can be a little confusing. 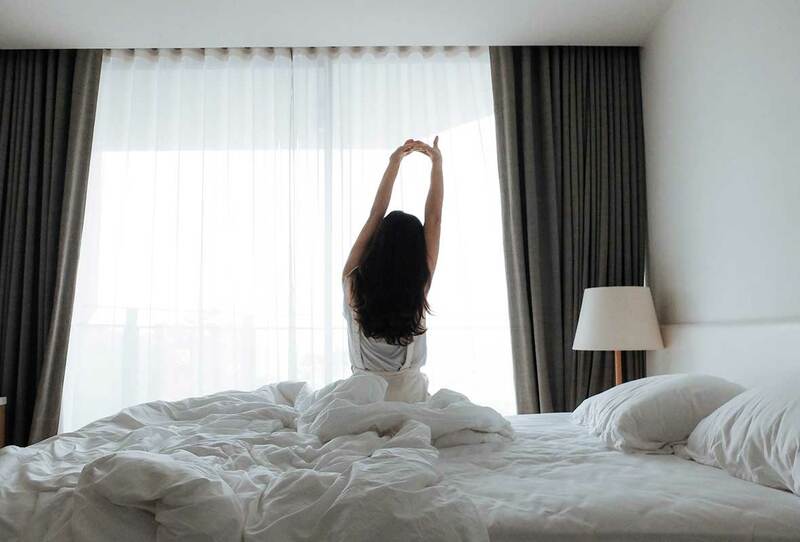 There are different mattress types offering a whole range of different benefits and features, and with so many choices out there, it’s important to know what each type offers and what you should look for in a mattress. As you’re probably aware, not all mattresses are the same! Most spring mattresses consist of durable pocket springs that work independently from each other, often providing graduated support across the surface of a mattress. The Sleepyhead Torquezone spring unit system offers you superior support through a stronger, continuous coil wire. The patented z-shaped coil structure covers more surface area, providing greater support across the entire mattress. Spring systems adjust well to body contours because they’re able to respond to varying pressure levels from your body. The level of adjustment and comfort is dependent on the quality of your mattress. Pocket spring mattresses often have zoning within them, providing more durable support at heavier points in the body. The Sleepyhead Chiropractic HD spring system features a graduated five-zone support system, where the mattress transitions from soft to firm zones to perfectly support the hip region and helps to maintain optimal spinal alignment. Spring systems work well to eliminate partner roll together and partner disturbance. All Sleepyhead mattresses are designed to reduce roll together and partner disturbance. Sleepyhead Sanctuary mattresses feature a Sensorzone core where each spring is individually encased in foam, isolating partner movement. Spring mattresses are usually more breathable, allowing for optimal temperature control. Many Sleepyhead mattresses also feature a Climatex Quilt fabric – this design promotes breathability to keep you cool and comfortable throughout the night. Memory foam responds to body temperature and weight, slowly conforming to your body profile – this could mean that it might feel cooler and firm when you first hop in bed, but will mold to your shape as it reacts to your body heat and weight. Memory foam mattresses have good pressure relieving properties – varying densities of foam form the upper, comfort layers for optimal comfort and support. Some people might find it tricky to move around in their sleep or to get in and out of bed with a memory foam mattress, while others will prefer this feel. Memory foam mattresses may feel warm, especially in the summer. Many people find that using special temperature regulating covers can reduce this effect if they are wanting to be cooler throughout the night. Memory foam mattresses are often one-sided so shouldn’t be turned over, instead rotated to ensure even wear and tear. Sleepyhead offers a range of superior spring and foam mattresses to suit all sleeping styles and preferences. We manufacture a range of beds to suit the New Zealand lifestyle with the latest comfort technology at affordable prices for Kiwi homes. We've got your back sorted with 50% off selected Chiropractic beds at Beds R Us. 50% off New Zealand's most supportive pocket spring bed, Swisstek features 7 dedicated posture zones and natural latex comfort. Offer applies to selected models for a limited time. Over 50% off the Serenity Limited Edition range of great value pocket spring beds, made in New Zealand. Get in quick these models are available for a limited time. Sleepyhead > Sleep Guide > Buying a Bed > Is a spring mattress or foam mattress better for me?